I have 2 identical guns. The difference are the lower traits. What you consder best? Luck or critical chance 10%? Critical chance is helpful on the lower levels where you can actually kill a walker or saviour but useless at the higher levels. Luck is the universal trait that can help other traits, especially dodge which is your only defense against walkers and saviors above level 21. Good luck either way. Luck any day of the week. Critical is nice but it only affects some shots, whereas luck afects that and things like dodge, which is ofc huge. Don't 2 luck traits stack together? I'd take luck for sure. Lol ...next time i will open a pool. There are very differents points of view! @capibara yeah, each to his ir her own, right? There are different views and there are wrong answers. We are talking about weapons guys. Lucky on your rifle will not help you Dodge more. To really answer the rodent's question we need to know the other traits. 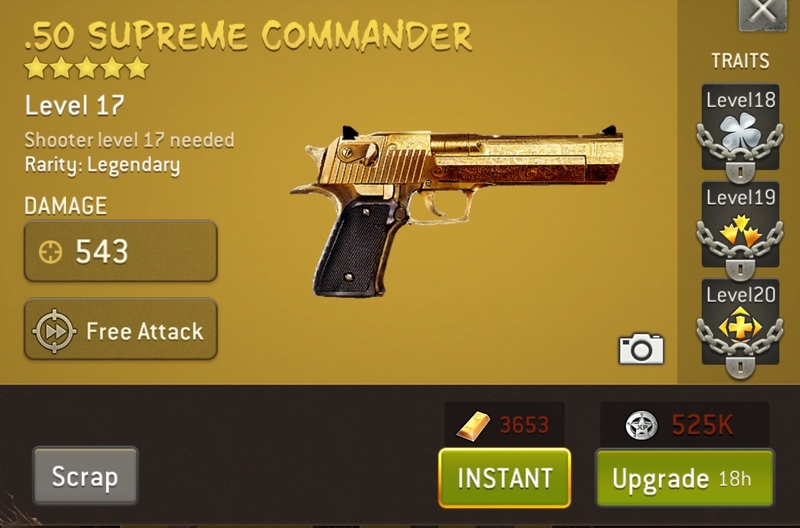 What else on that weapon can benefit from the Lucky? Is there Destructive on the one with Critical? Which Survivors with Lucky would you equip these weapons? These are to be considered with your play style and objectives. The one is difficult because they look identical. 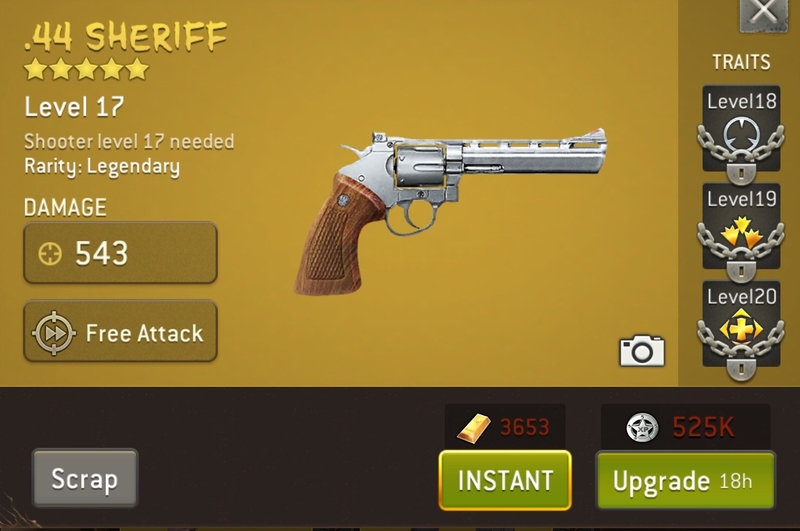 The silver Lucky on the one gun is giving you the same 10% extra critical chance as the one with the Accurate trait. The question is whether there are other chance rolls involved in an attack that would benefit from Lucky on the weapon. Nice point of view @theRealBender thanks!